Nothing's better in summer than sharing sweet and decadent ice cream cones with you and your birthday child's friends! This memorable Ice Cream Party has a ice cream parlor feel from the past with it's soft vintage color palette, and decadent cafe graphics. 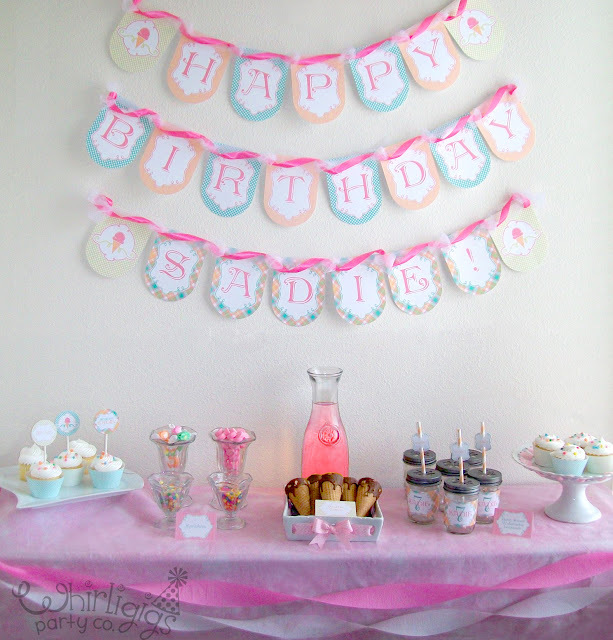 Enjoy the pleasures of an old fashioned Ice Cream Party for your summer birthday or event memories!